After working as an architect in Japan and Berlin, Ms. Adams was presented with the opportunity to apply her skills to the design of buildings in space with Lockheed-Martin and NASA. Projects she has been involved in, include a design for the next generation space shuttle, a crew return vehicle, and heat shields for reusable spacecraft. In particular, she became deeply involved in the design of an inflatable module called TransHab ("transit habitat") that would provide a "residents hall" for astronauts on the International Space Station. Ms. Adams is part of the Human Factors Engineering team based at the Johnson Space Center in Houston, Texas and is recognized by National Geographic as an Emerging Explorer. Originally educated as a nuclear and mechanical engineer, Ms. Addington's background includes work at NASA/Goddard Space Flight Center, where she developed structural data for composite materials and designed components for unmanned spacecraft. She then spent a decade as a process design and power plant engineer as well as a manufacturing supervisor at DuPont. As a trained architect and an engineer, she researches discrete systems and technology transfer, and she serves as an adviser on energy and sustainability for many organizations, including the Department of Energy and the AIA. 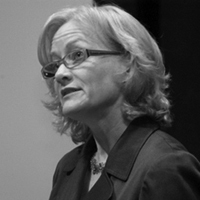 Her articles on energy, environmental systems, lighting, and materials have appeared in many books and journals and she co-authored “Smart Materials and Technologies for the Architecture and Design Professions”. In addition to Yale Unversity, she has taught at Harvard University, Temple University and Philadelphia University in courses on energy, environment, advanced technologies, and new materials. Future Cities Lab (FCL) is an interdisciplinary design and research collaborative that has developed a range of award-winning projects exploring the intersections of architecture with advanced fabrication technologies, responsive building systems and urban space. Ms.Gattegno’s work has explored notions of territory - terrestrial, arctic, urban and suburban - by speculating on the design opportunities and inhabitation of extreme climatic environments. FCL’s work has been widely published and exhibited, and was awarded the Van Alen NY Prize in Systems and Ecology for the Aurora Project, an index of shifting territorial resources in the Arctic and a speculative vision for a massive new energy infrastructure and settlement pattern. She is a member of the architecture faculty at the California College of the Arts and has previously taught at UC Berkeley, the University of Michigan and the University of Virginia. 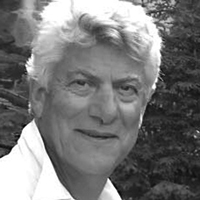 Mr. Healy has experience as jury chair in numerous national, international and regional architectural design competitions, including the recent SHIFTboston Ideas Competition among others. He is an architect and educator who has taught graduate design studios for years at Yale University and the University of Pennsylvania. His work includes winning entries in local competitions such as the Children’s Chapel for the Korean Church of Boston and international competitions such as the Mill Center for the Arts in Hendersonville, NC and Chicago’s Initiative to Redefine Public Housing. 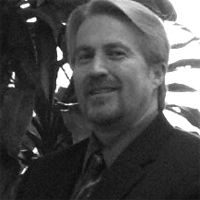 An architect with NASA since 1987, Mr. Kennedy has published extensively in the field of aerospace industry since 1988. Prior to NASA, he worked in numerous architectural firms in the United States. Currently, Mr. Kennedy is the Manager of the Habitat Demonstration Unit Project, Surface Habitation Systems Center Investment Project at the Johnston Space Center, Constellation Lunar Surface Systems Habitation Team, and team member of the Constellation Lunar Architecture Definition Team. He has worked on space hardware concepts, technology development, and flight hardware for the International Space Station and has received several patents, including TransHab. He has dedicated his career to the definition, development, and testing of habitation systems and surface base definition for the exploration of the Moon and Mars. 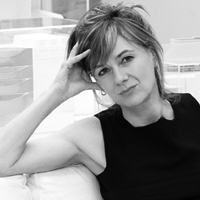 Founded in 2009, Amanda Levete Architects' notable projects include 10 Hills Place and the Naples subway station, a joint project with Anish Kapoor. 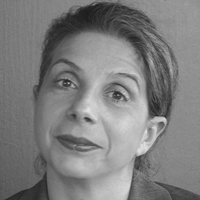 Ms. Levete is visiting professor at the Royal College of Art and a trustee of Artangel. She is also a regular TV and radio broadcaster and writes a column for Building magazine. 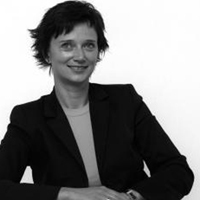 A co-partner at Future Systems with the late Jan Kaplický for 20 years, Ms. Levete trained at the Architectural Association and worked for Richard Rogers before joining Future Systems as a partner in 1989. Future Systems completed buildings including Selfridges department store in Birmingham and the Lord’s Media Centre which won the coveted Royal Institute of British Architects Stirling Prize. Mr. Sherwood leads strategic planning and project formulation for NASA’s Jet propulsion Laboratory. Previously during his 17 year at Boeing, he led diverse new business teams, manufacturing engineering for the International Space Station modules, and concept engineering for human exploration of the Moon and Mars. With advanced degrees in architecture and aerospace engineering, he writes and speaks in fields related to the human settlement of space, and co-edited Out of This World: The New Field of Space Architecture. Mr. Thangavelu conducts the Graduate Space Exploration Architecture Concept Synthesis Studio in the Department of Astronautical Engineering within the Viterbi School of Engineering at the University of Southern California (USC) in Los Angeles. 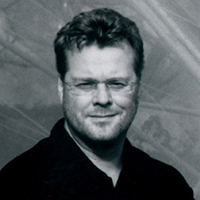 He is also a graduate thesis adviser in the USC School of Architecture and teaches the seminar in Extreme Environment Design. A consultant to NASA and the industry in manned space systems, he is a coauthor of "The Moon:Resources, Future Development and Settlement", (published in 1999 and a new second edition published in 2007). He is the author of the chapter "Living on the Moon", included in the Encyclopedia of Aerospace Engineering, a major reference work to be published in October 2010. 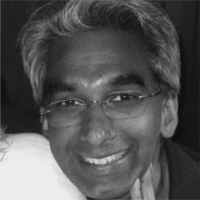 Mr.Thangavelu holds degrees in Engineering and Architecture and is an alumnus of the inaugural class of the International Space University held at MIT in 1988, and is a frequent lecturer in their summer programs. 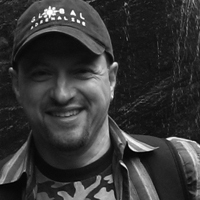 Mr. Trotti specializes in architecture projects in extreme environments such as remote islands, the Antarctic, and space. 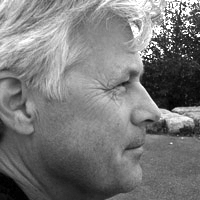 He has over twenty five years experience teaching design in architecture and industrial design at the University of Houston and at the Rhode Island School of Design. Trotti & Associates, Inc (TAI) has worked with the NASA’s Institute of Advanced Concepts on revolutionary mission architecture concepts to explore the Moon with habitable rovers. The Extreme Expeditionary Architecture: Mobile, Adaptable Systems for Space and Earth Exploration (EXP-Arch) project proposes a revolutionary way for humans and machines to explore the Moon. TAI is also working with MIT on the Biosuit project, an advanced mechanical counter pressure space suit for lunar and Mars surface exploration. 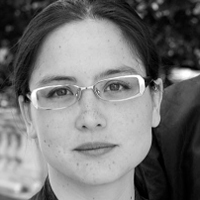 Astrid has worked on urban design projects and international competitions, such as Ponte Parodi in Genova, the Port Masterplan for Las Palmas and the Ground Zero project in collaboration with United Architects. The realized project for the renovation of the façade and interior of the Galleria department Store (Seoul, 2003-2004) initiated her interest and further involvement with urban leisure and retail projects such as the TaLee Plaza Department Store, Kaohsiung (2006-2008). Registered as an architect in the United Kingdom and United States, Mr. Whalley established Grimshaw’s New York office and is the partner in charge as well as the director of the Eden Project in Cornwall, UK. The Eden Project is the worlds largest greenhouse. Inside the artificial biomes are plants that are collected from all around the world. He has taught at the Royal College of Art and Imperial College’s Industrial Design Department, the Architectural Association, University College London, Washington University in St. Louis, and the University of Pennsylvania. Grimshaw Architects is noted for rational building that draws on rigorous engineering combined with the fundamental principles of architecture and a profound understanding of the materials. They are leaders in the design of artificial ecosystems and are currently behind the National Institute for Research into Aquatic Habitats (NIRAH) design. Upon completion, this will become the world’s largest aquarium.